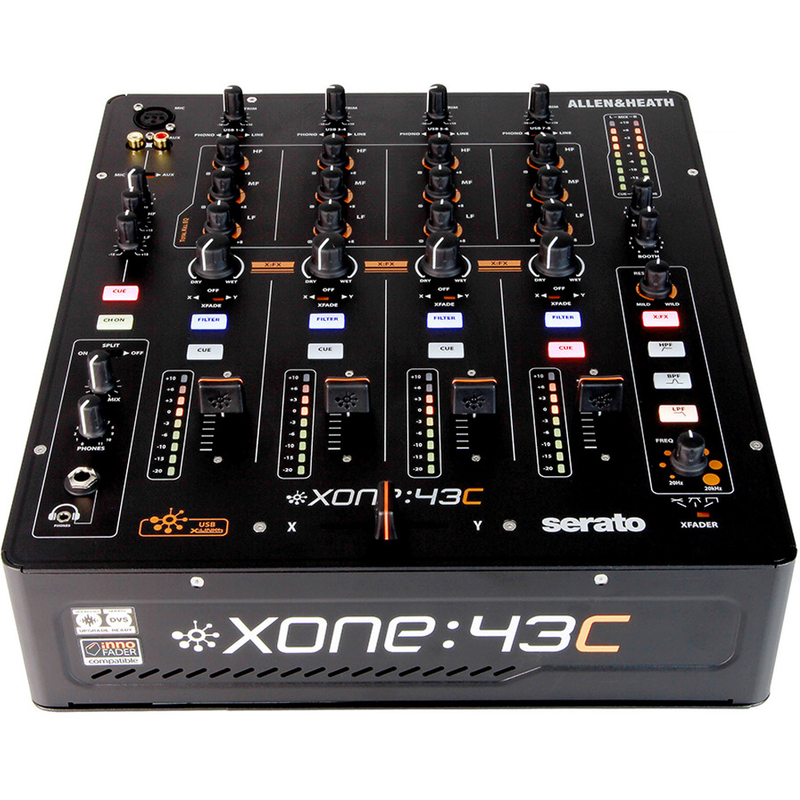 The Xone:43C from Allen & Heath is a 4+1 channel mixer that is supported by leading DJ Software, Serato DJ. It’s DVS upgrade ready with the addition of the Serato DJ Club Kit – eliminating the need for any external interface. 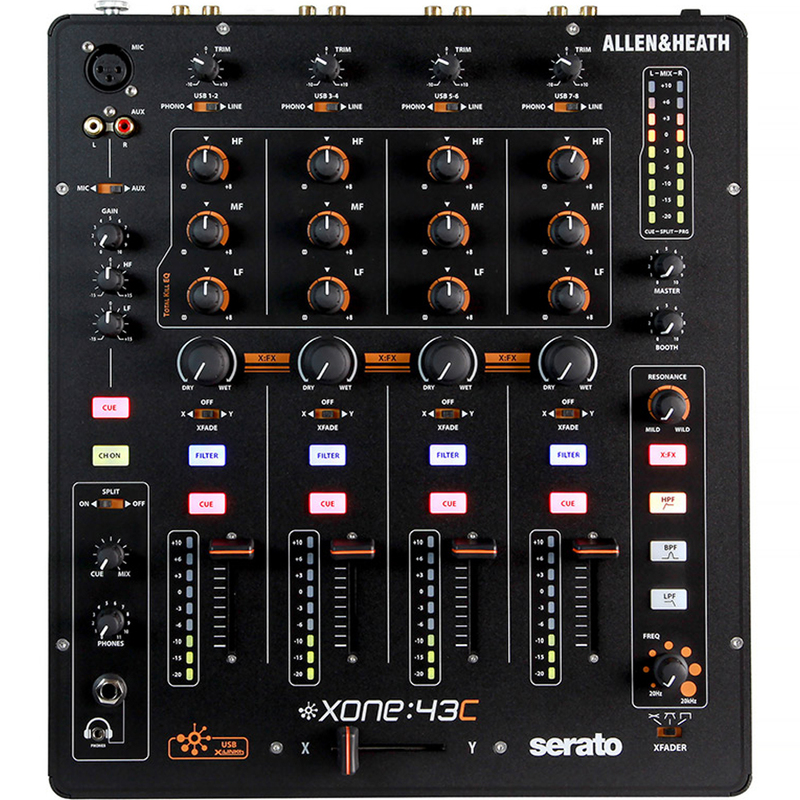 The mixer is equipped with a high-quality, 16 channel 96kHz 24bit internal soundcard, and 3 band EQ. 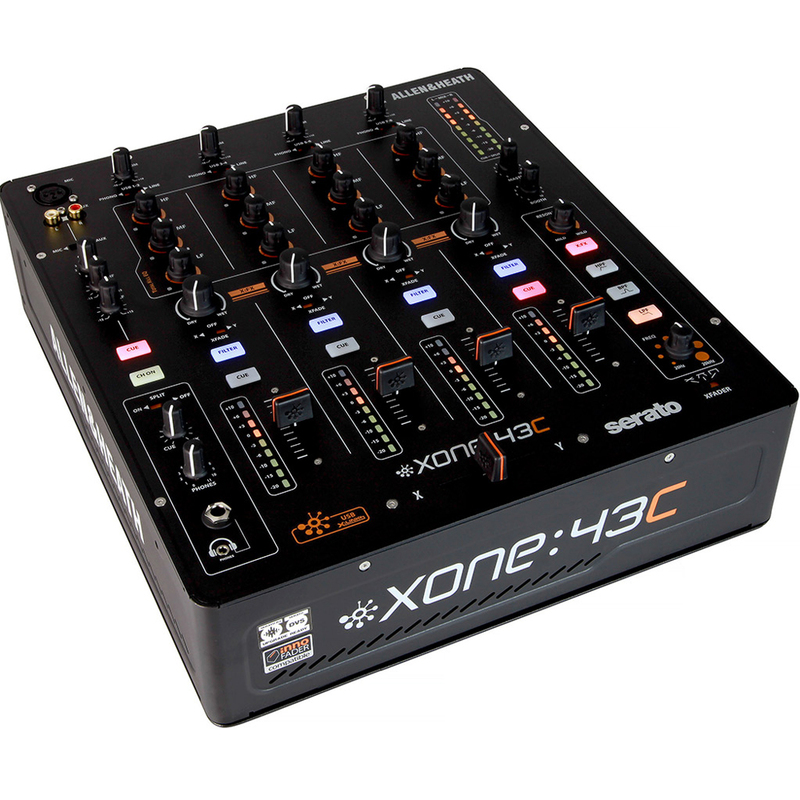 With its touring-grade build quality and features, The Disc assures you the Xone:43C has the quality and versatility to become the centrepiece of the club booth or audiophile personal DJ setup. 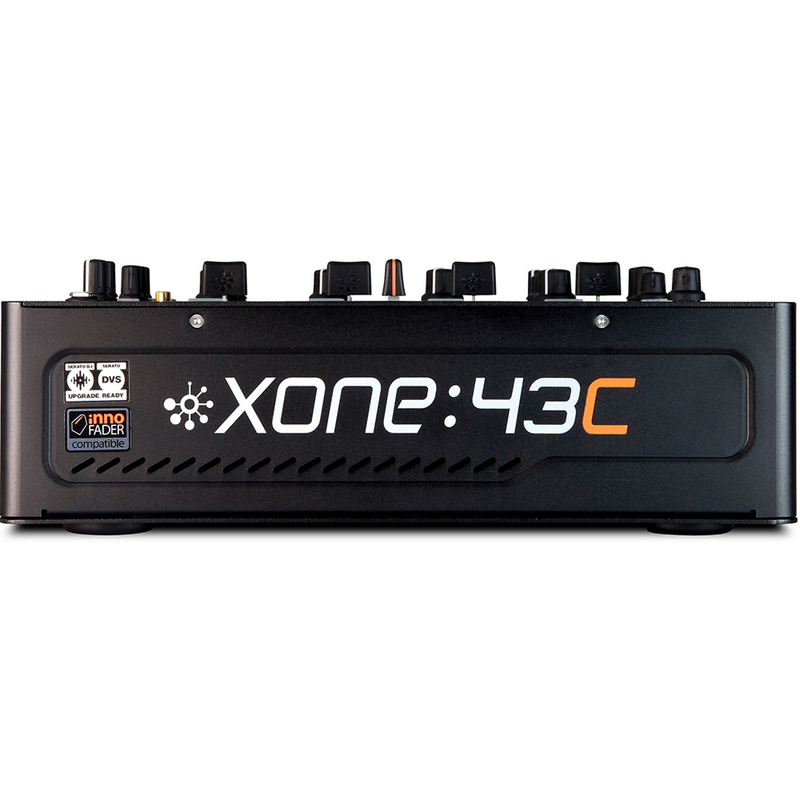 The Xone:43C features X:LINK for plug n’ play connection to Xone:K series controllers, and the legendary Xone filter system, including HPF, BPF, LPF, resonance control and frequency sweep, plus the option to route the X:FX to the filter. X:FX provides a single control per channel over the send/return to work with external FX units. For even more hands-on creativity, the X:FX can also be routed to the Xone filter to add layers of FX and filtering. The external FX loop (Send/Return) system has dry/wet controls per channel. The crossfader has a curve switch and three switchable curve settings for blending or scratching styles, and can be easily replaced or upgraded to a custom Innofader (available separately) for ultimate crossfader performance. 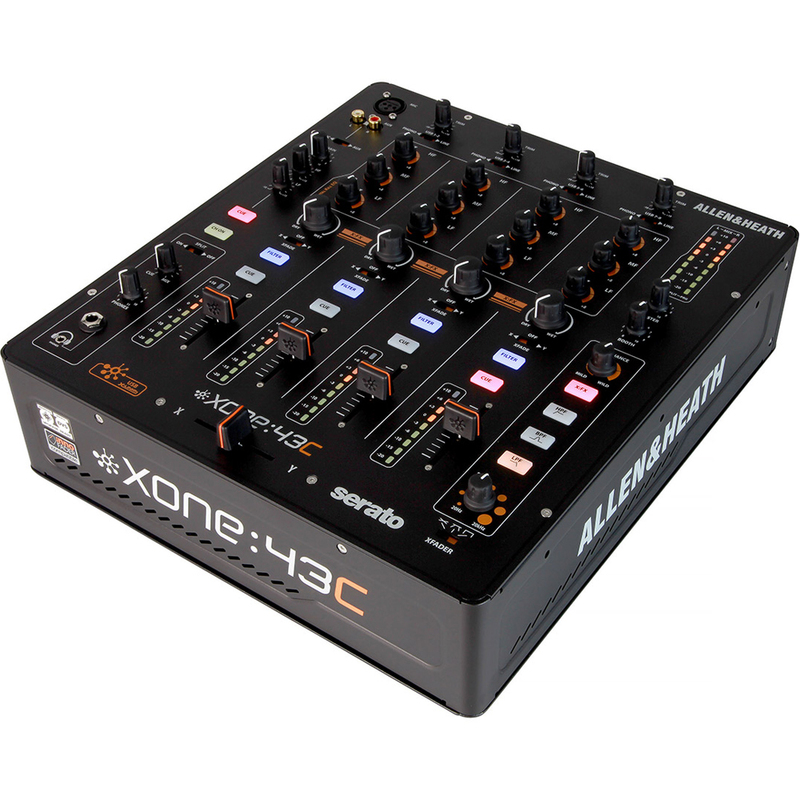 The Xone:43C also has super smooth VCA channel faders, 20dB pro standard headroom, and 9-segment signal level monitoring. 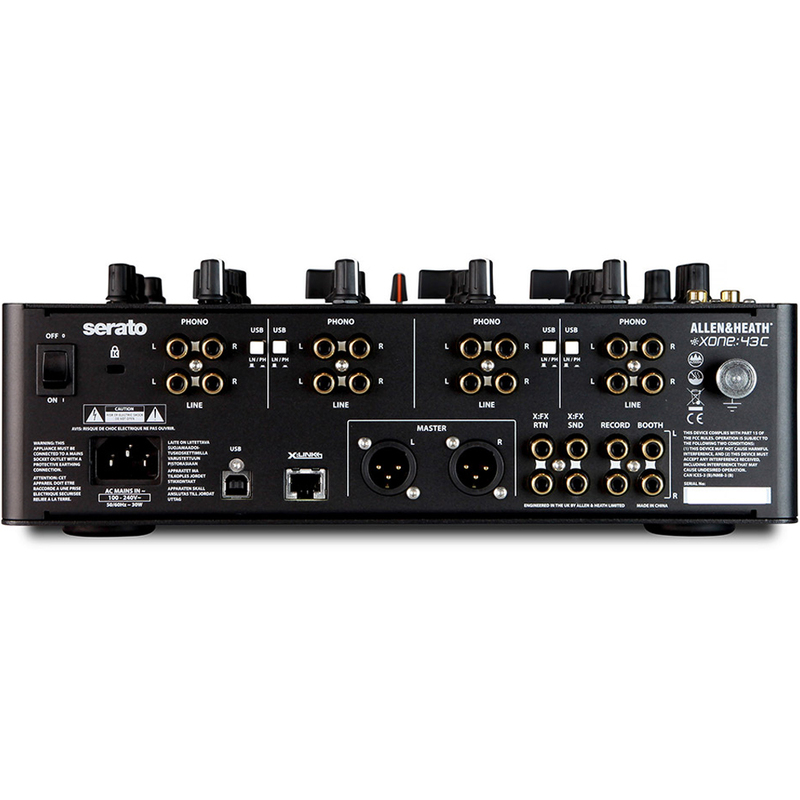 The 4 channels have phono/USB/line inputs, and other I/O include a mic input on balanced XLR, with 2-band EQ; balanced main mix out on XLR; independent booth out; record out; 3.5mm and 1/4″ headphone outputs, making Xone:43C perfect for the DJ who requires a compact mix tool.